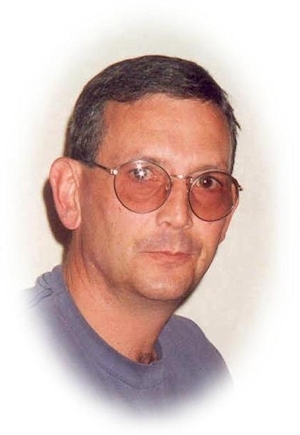 Obituary – Boone, Jim « Perry High School Alumni Association, Inc.
Jim Boone, 46, of Perry, Oklahoma was the son of Norman W. Boone and Frances Davison Boone. He was born April 17, 1958 at Perry, Oklahoma, and died Sunday, March 27, 2005 at his home. Funeral services will be at 10:00 a.m. Wednesday, March 30, 2005 at Calvary Baptist Church in Perry. Rev. Roger Dunn will officiate. Interment will be in Grace Hill Cemetery. Services will be under the direction of Brown-Dugger Funeral Home of Perry. Memorial contributions may be made to the Calvary Baptist Church in care of Brown-Dugger Funeral Home. 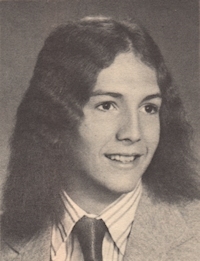 Jim was a 1976 graduate of Perry High School. He and the former Joyce Ann Watkins were married December 29, 1996 at Perry, Oklahoma. A tax compliance officer, Jim worked 20 years for the Oklahoma Tax Commission and one year for the Oklahoma Corporation Commission. Jim was of the Baptist faith. He was a heavy equipment operator and a gun enthusiast and who enjoyed hunting, fishing, camping and the outdoors. Jim is survived by his wife, Joyce; four sons, James C. Boone, Jr. of Perry, Oklahoma, Donnie Ryder, of Shawnee, Oklahoma and Chris Ryder and Lloyd Ryder, both of Deville, Louisiana; one daughter, Jessica Ryder Kukuk and her husband, Fred, of Perry, Oklahoma; one grandson, Bradley Kukuk, of Perry, Oklahoma; two granddaughters, Keylynn Ryder and Hope Ryder, of Deville, Louisiana; his parents, Norman and Frances Boone, of Perry, Oklahoma; two brothers, John Boone and his wife, Cindy, and Daniel Boone and his wife, Tracie, all of Perry, Oklahoma; one sister, Jana Boese and her husband, Bill, of Broken Arrow, Oklahoma; his maternal grandmother, Anna Davison, of Perry, Oklahoma; two nephews, James Boone and his wife, Lisa, of San Diego, California and Justin Boone and his wife, Angel, of Perry, Oklahoma; four nieces, Melissa Boone and Morgan Boone, both of Oklahoma City, Oklahoma and Cherish Mireles and her husband, Roman, and Brittany Ballew, all of Tulsa, Oklahoma; three great-nieces, Allyson Boone of San Diego, California, Annah Boone, of Perry, Oklahoma and Mariah Mireles, of Tulsa, Oklahoma; two great-nephews, Levi Stills and Ryder Ballew, both of Tulsa, Oklahoma; and numerous aunts, uncles and cousins.